We shot a social media campaign for M&S to launch their new Indian range. 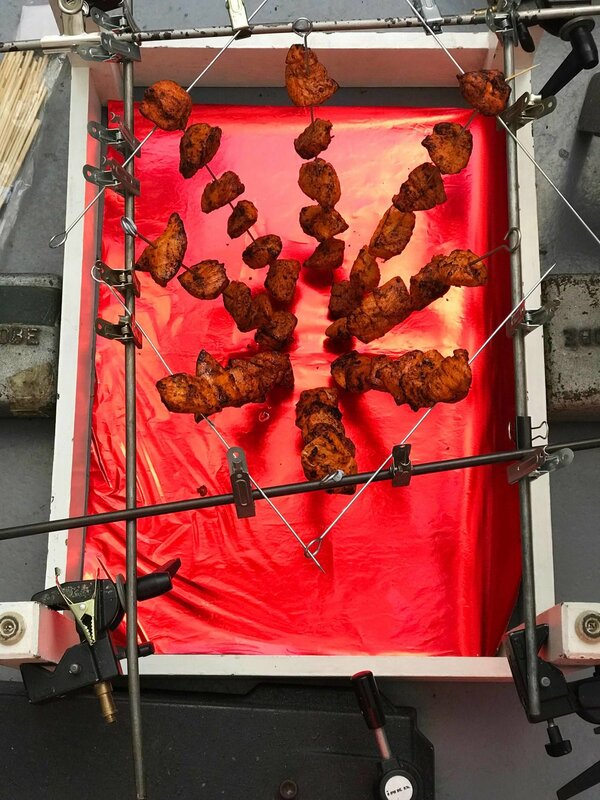 Our brief was to shoot their best seller, Chicken Tikka Masala with the main shot being the tikka cooked over red hot coals in a tandoori oven. We shot the coals separately because of the heat haze from the charcoal below and the tikka as a separate layer against red so it would reflect into the meat to simulate the flames below.